World of Tanks - The Soldiers of Fortune: Claim your rewards! The Soldiers of Fortune: Claim your rewards! 19 Comments on The Soldiers of Fortune: Claim your rewards! The Soldiers of Fortune event has come to an end and its almost time to claim the rewards! I’ve received a lot of questions about this and in order to keep everyone updated, I’ll share the information I have. As you all know, The Soldiers of Fortune will allow players to exchange Fame Points for rewards and the Top 10,800 players, on EU, will be able to claim one of six reward vehicles. The Fame Point Shop will be open from the 7th of February until the 21st of February and only then you will be able to trade Fame Points for your rewards. If you are one of the lucky 10,800 players you are able to get a reward vehicle but please be advised that will cost you 22,906 Fame Ponts and 4,000 Bonds. I, for example, didn’t notice before so it came to me as a surprise that tanks now cost Fame Points. Make sure you buy the Reward Tank first and only after you spend the remaining Fame Points on extra rewards, if you don’t you won’t be able to buy the Reward tank. For example, if you have 24,000 Fame Points, you would have to spend 22,906 on a Reward tank and have 1094 Fame Points left for extra rewards, like Camouflages, Credits, Bonds, Premium Days, etc. If you didn’t finish inside the Top 10,800 and have played more than five battles, you have a chance to make a bid Bonds and win a tank, the minimum bid will be 5,000 and if you are one of the highest 600 bids, you can claim a Reward tank. Don’t forget you can exchange Fame Points for Bonds if you wish to make a higher bid, you can also cancel the bid at any moment and make another. If you don’t win the bid, don’t worry all your Bonds will be returned to their owners. The auction will run from 6th February to the 21 st February at 08:00. Clan name ? Or contact email? FAME clan and all top clans did the boost. how about them? (Un)fortunately you will have to prove them selling the tanks because otherwise they could simply be boosting friends, family or doing charity work… It’s a shame the retards selling tanks doesn’t think about the consequences for the game because WG will be far more likely to make things more complicated for everybody to make it happen less. Being in one of those top clans, we did not. This is spreading false information and pathetic. Well our clan accepted mercs from another decent clan that doesn’t play cw at all. The guys that came over to play cw will soon leave and go back to their home clan. We would never offer, nor indeed accept brides or payments to get someone high up in fap points. Yeah Wg never said tanks would also cost fame points in there regulations. Why and who’s making justice this ? 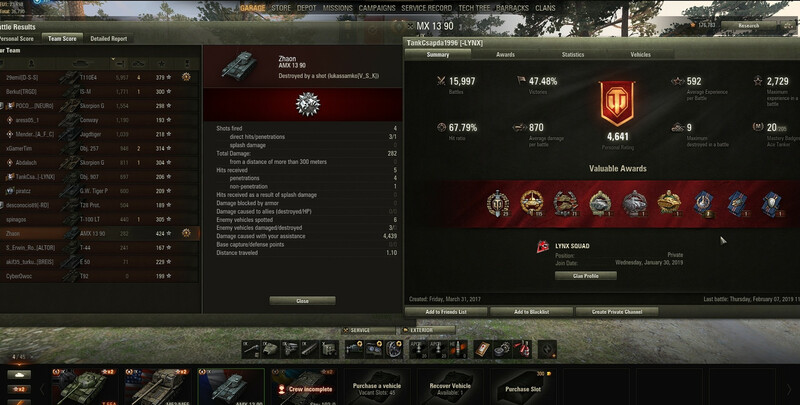 22906 is actualy last guy’s fame points who got the tank. Why this all of a sudden. Was this practice in the arms race campaign ? Also regarding the news about boosting accounts , [ONIX] Phoenix_ being in elite front is not a coincidence. That one just caught my eyes. Maybe i am mistaken. The rules say that the Tank costs 4k Bond plus the fame points of place 10800. A question , if they ban that clan and take all the fame points they will remake the lader board??? It was updated straight after the Fame Points were removed. Current leaderboard it’s up to date. well that Website is been doing that for years. Finally WG did something about that this year. Here you have a proof that top clans sells their services ! Previous Entry World of Tanks Update 1.4: Preload is now available!